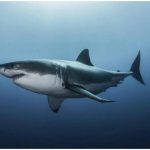 The great white shark popularly known as Carcharodon Carcharias, white death, the great white, white shark or pointer death belongs to the family of lamniform shark that is widely found along the coast in many oceans. Though these are one of the most dangerous animals found in the water but its attack on humans is extremely rare even when humans swim in close distance to them. 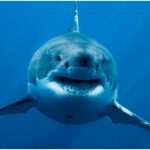 Till date the largest great white shark ever found was in Cojimar, Cuba, which was 21 feet in size and weighed 7303 pounds. 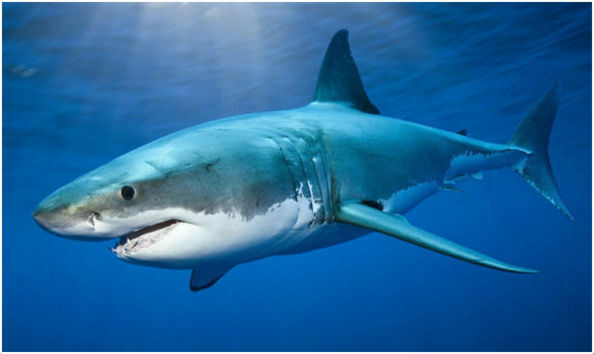 The great white shark is not the biggest shark in the water though it has a length of 7m or more. It the biggest ravaging shark. 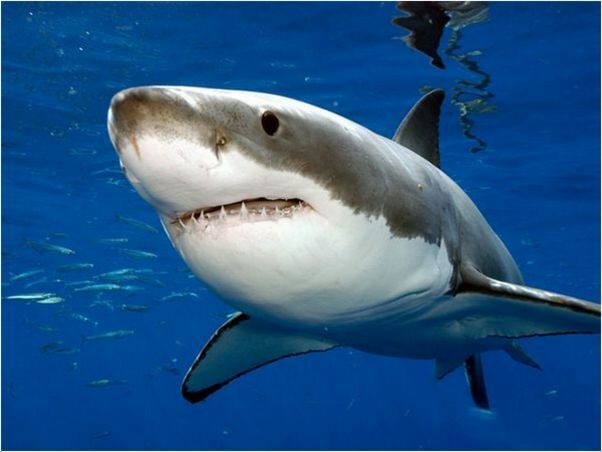 The great white sharks have 6 senses such as electro reception, sight, touch, smell and taste in them. 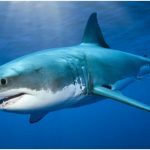 If any struggling prey uses low frequency sounds, the great white shark has the ability to hear them. They can rotate its eyes back to save them and have no eyelids. The great white shark uses spy hopping method to examine its prey. Spy hopping method is lifting its head from water like a whale to check out its prey. The great white shark matures at a very late age. 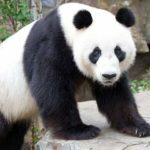 For males it is 8-10 years and for females it is 14-16 yrs. There is no parental care for baby sharks and it is left in water by mother shark to take care of itself. 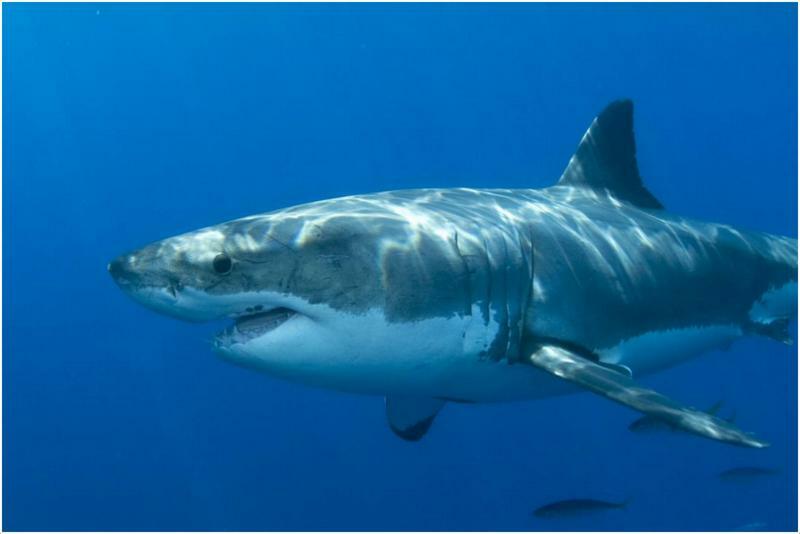 There are about 465 kinds of species of the great white shark found in the ocean. 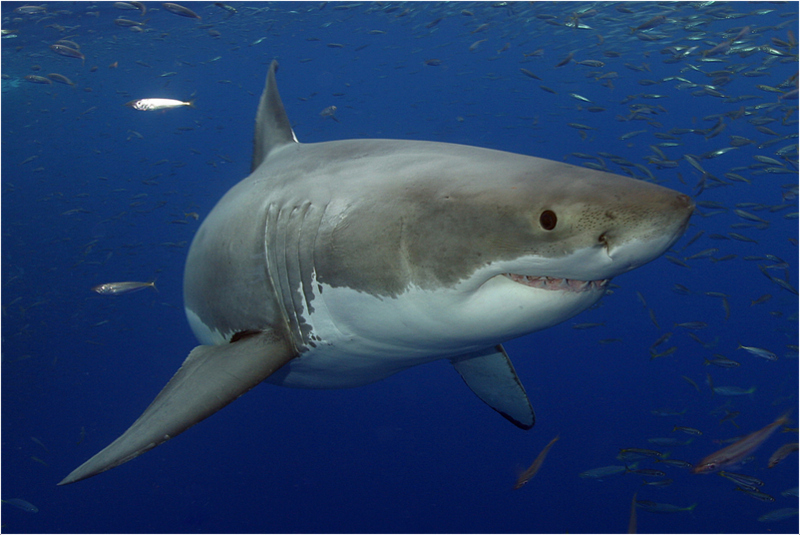 The great white shark lives up to 70 years, which makes it one of the longest lived fish with a cartilage. Sharks are not territorial in nature and will not attack any human unless enraged or provoked. Since sharks are curious animals, they perform sample biting on humans but are actually not interested in feeding on them. The great white sharks have amazing jumping skills eve after weighing so much. These animals have the potential organs that can detect electromagnetic signals generated by its prey. Sharks at the top most point beast of prey in the marine food chain and help to balance the population of species below in the chain. 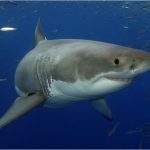 The ocean’s eco system is majorly affected by the decline in the number of sharks. The skeletons of sharks are made up of cartilage like in fish that is a tissue more elastic and lighter than bone. 4-6 gills are present on both the sides of its bodies enabling it to breathe. 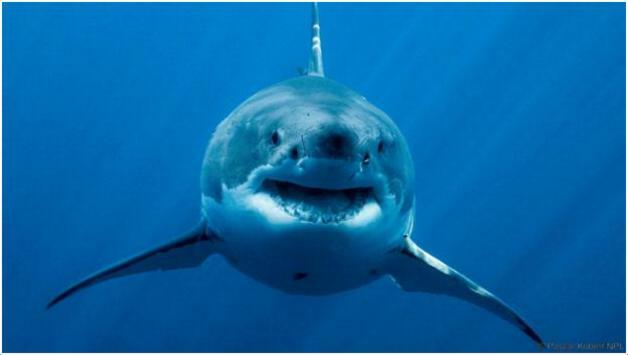 Sharks loose teeth in a routine manner while new teeth grow in place of the lost ones. To conserve energy in water, shark skin is formed in a set of scales that act as an outer skeleton. 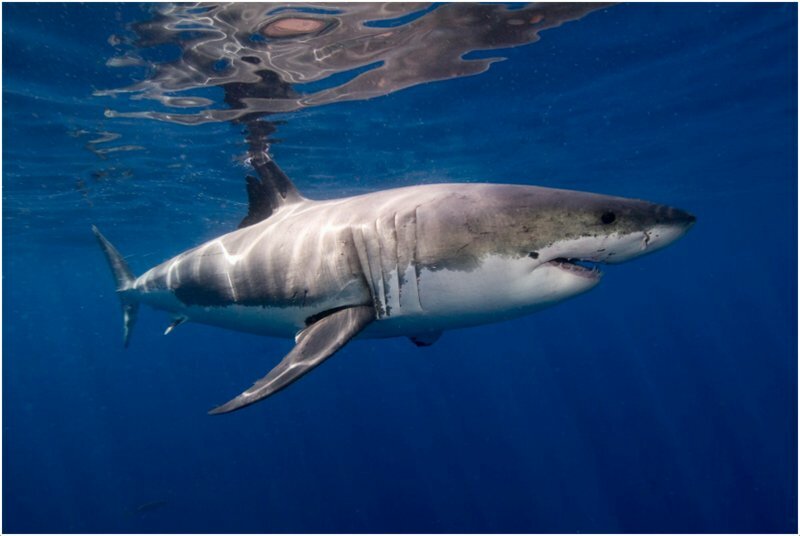 The top body of the great white shark is dark and the lower ventral part is white to blend with the colors of water respectively in order to escape its predators. The great white shark likes to abruptly attack their prey before feeding on them. The great white shark can swim up to 25 km/hr. To hunt in waters, the great white shark uses its intense speed and camouflaging color. 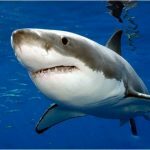 The great white shark is widely found along the coastal areas of northeastern United States, Australia, California and South Africa. In minority they are found in Hawaii, Azores, Philippines, Brazil, northern Australia, the Caribbean, Sri Lanka, north western Africa, Mauritius, eastern Africa, Madagascar and Seychelles. They like seas that are warm, temperate and salty and swim on the surface as well as 250 m deep in the oceans. 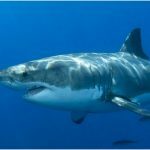 The great white sharks are carnivores in nature and prefer to eat fish like tuna rays and other small sharks, marine mammals, crustaceans, cetaceans such as dolphins, whales, porpoises, krill, pinnipeds like seals, sea lions, sea otters, mollusks and plankton. 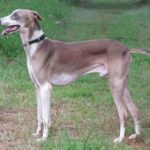 They have a keen sense of smell and can identify the smell of blood from miles away. Sometimes the great white sharks eat stuff that it can’t digest. 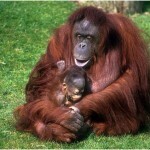 They are very tactful and prey for food that is energy rich and has high content of fat. 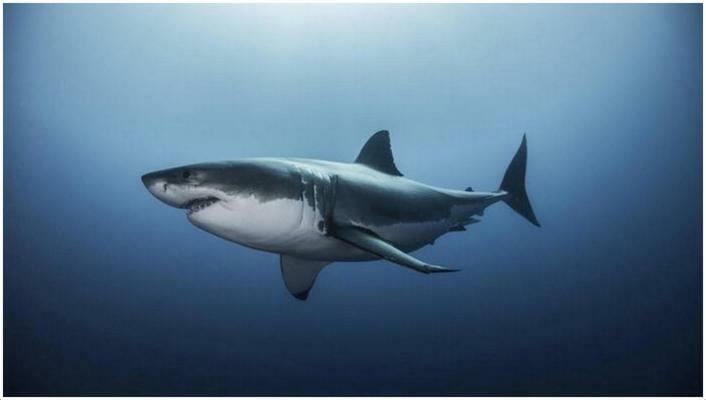 Sharks reach maturity at a very late age like 12 to 16 years. The eggs are developed in the uterus of the mother shark till birth, which makes them viviparous. 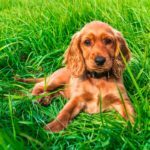 The birth takes place in the spring or summer including a pregnancy period of 11 months. 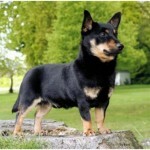 It has been researched that the larger pups in the womb of the mother actually feed on the smaller pups. One shark delivers only one or two offspring at a time. The shark offspring is not taken care of by the mother shark and is left in the ocean to take care of itself. Since, the bay sharks are born with a full set of teeth they can take feed by themselves. The killer whale is the only most dangerous predator of the great white shark. This whale is one of the major predators of all marine animals and thus goes after the great white sharks too. 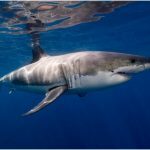 With the declining circumstances, the great white sharks are an endangered species and are highly vulnerable. 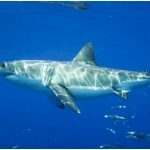 There are several reasons why these great white sharks are declining such as commercial and sport fishing and media campaigns to kill sharks after a few human attack incidents. There have been many shark attacks but they have not been proven calamitous for humans. The great white shark does not attack a human unless provoked. 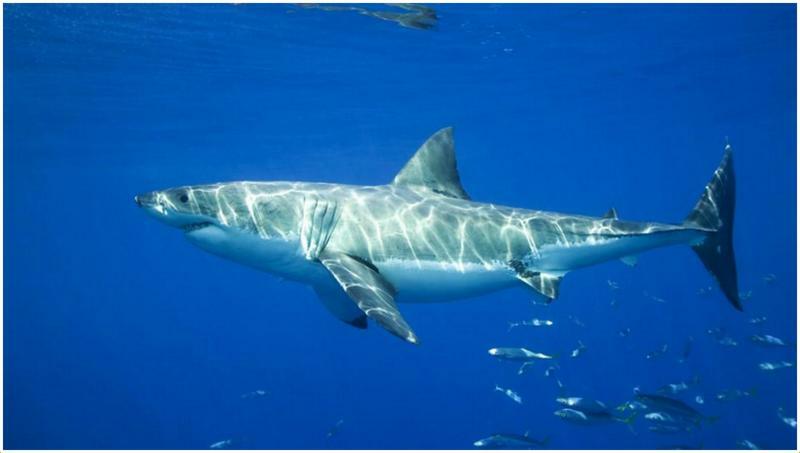 The great white shark is inedible for the human race due to the high level of mercury present in its body. Now, there are only less than 10,000 sharks left in the world. There should be measures taken to conserve these great white sharks because they play a major role in our feeble aquatic ecosystems.